Precision medicine is helping identify new, individualized therapies for many different types of cancer, especially for patients whose tumors do not respond to standard therapy. There are many new discoveries on the horizon that offer new therapies for those who have exhausted all other options in cancer care. This year’s Individualizing Medicine Conference: Advancing Care through Genomics will feature two speakers highlighting key new areas of precision oncology research and practice. 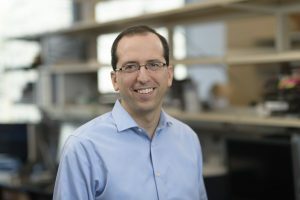 Michael Berger, Ph.D., a geneticist at Memorial Sloan Kettering (MSK), will discuss his team’s development of MSK-Integrated Mutation Profiling of Actionable Cancer Targets (MSK-IMPACT), a genetic test that looks across more than 400 genes associated with both rare and common cancers. Physicians can use test results to select individualized treatments based on the unique genetic makeup of a patient’s cancer, rather than where the cancer originated. 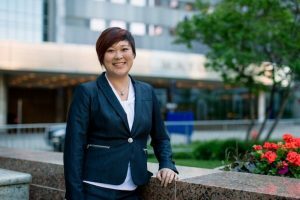 Next, Yi Lin, M.D., Ph.D., a hematologist at Mayo Clinic’s campus in Rochester, Minnesota, will discuss chimeric antigen receptor T-cell therapy (CAR T-cell therapy), a new immunotherapy that re-engineers a patient’s own immune cells to create an individualized therapy to treat their cancer. Mayo Clinic Center for Individualized Medicine is hosting the Individualizing Medicine Conference on Sept. 12-13, in Rochester, Minnesota. The conference brings together experts from Mayo Clinic and around the world to discuss how the latest discoveries in precision medicine can be applied to improve patient care. Here’s a closer look at Dr. Berger’s and Dr. Lin’s research, and how it is impacting patient care. With expertise in cancer genetics, computational biology and DNA sequencing technology, Dr. Berger led the development of MSK-IMPACT, a genetic test used to screen tumors to detect genetic mutations and other genetic changes in 468 genes associated with both rare and common cancers. As Dr. Berger explains, the test offers a more comprehensive view of a patient’s tumor than smaller gene panel tests. “In the past, genomic testing of tumors has been routine practice only for patients with certain types of cancer. MSK-IMPACT is much more inclusive and can be used on any solid tumor regardless of its origin. The test provides a multitude of genetic and molecular information, helping physicians predict patient outcomes and select individualized treatment options targeted at a patient’s unique tumor characteristics, rather than based only on where the tumor originated,” says Dr. Berger, associate director, Marie-Josée and Henry R. Kravis Center for Molecular Oncology at Memorial Sloan Kettering. 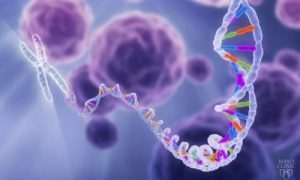 In a study of more than 10,000 patients who had their tumors sequenced with MSK-IMPACT, Dr. Berger and his team found that nearly 37 percent had at least one genetic mutation for which there was a drug available either through a clinical trial or as an approved standard therapy. Genomic sequencing also helped identify patients who would not benefit from certain therapies, sparing patients unnecessary treatment and side effects. Testing also helped identify patients who may benefit from immunotherapy. To date, more than 20,000 MSK patients with advanced cancer have had their tumors screened with MSK-IMPACT, creating the largest gene panel database. This robust research resource is available to the broader scientific community and is helping advance research in precision oncology therapies. According to Dr. Lin, CAR T-cell therapy is one of the most promising new areas of cancer treatment. “This is a very exciting, individualized approach to treating cancer. Each dose is an individualized treatment made by genetically changing the patient’s own T-cells to strengthen those cells’ ability to kill the patient’s own cancer,” says Dr. Lin. As chair of the Cellular Therapeutics Cross-Disciplinary Group in the Mayo Clinic Cancer Center, Dr. Lin has helped lead Mayo Clinic’s participation as one of 16 cancer centers selected to treat adults with B-cell non-Hodgkin’s lymphoma whose cancer has recurred with CAR T-cell therapy. Mayo participated in the landmark trial that led to Food and Drug Administration (FDA) approval for this treatment, culminating decades of research to bring this technology forward. CAR T-cell therapy is also approved to treat children and young adults with B-cell acute lymphocytic leukemia (ALL). Dr. Lin emphasizes that it is important for patients to receive CAR T-cell therapy at a medical center such as Mayo Clinic, where specialists from many different areas can help manage the treatment and immediately address any side effects to ensure a successful outcome. “Our team is working on innovative ways to improve the effectiveness of CAR T-cell therapy and also manage treatment side effects, which vary because each patient has a unique immune response. With support from the Center for Individualized Medicine, we’re exploring biomarkers that may help predict which patients will benefit from CAR T-cell therapy and which patients may experience more serious side effects so we can adjust our medical care to address those needs,” says Dr. Lin. In her conference presentation, Dr. Lin will also highlight several multicenter clinical research trials underway testing CAR T-cell therapy to treat multiple myeloma and other types of lymphoma.